I'm with you in this. I can't explain how good I feel knowing how I'm a step ahead of my male friends, who thought they knew everything until they lose their shits with TLJ, when they realized they knew nothing. My wish it to laugh on their faces, because they were so arrogant. Now they dislike TLJ, because the movie made them feel stupid. I will definitely miss this, and you put it wonderfully in words, "incredibly validating for women just trying to have a voice in a male-dominated fandom". I always liked fantasy/fantastical fandoms and I always felt that my opinions were underestimated. Now I feel I have a voice. That's so amazing, it's reinvigorating. 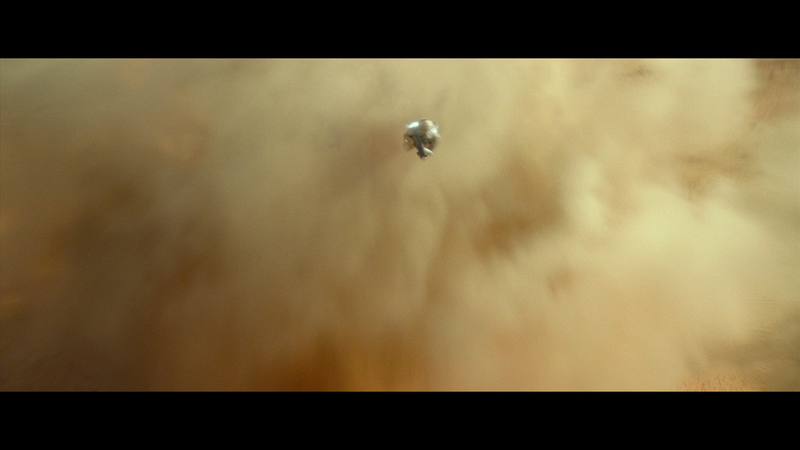 When I saw the trailer I had the same impression, that she was going to land on the ship or something. I never thought she would hit or bang the ship. 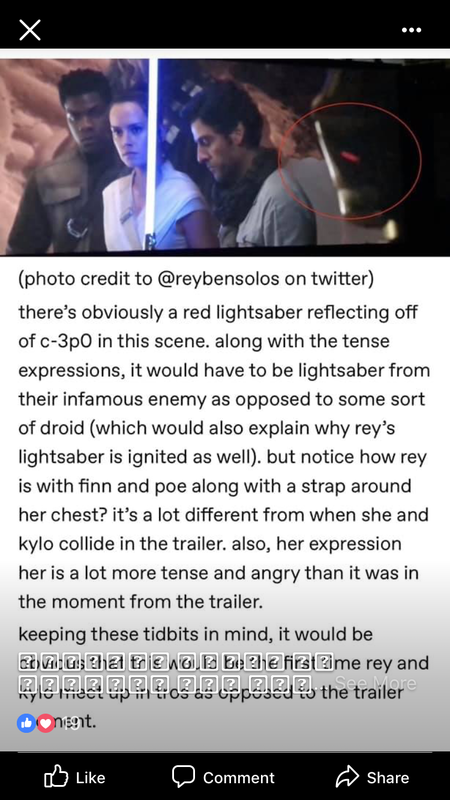 @vaderito wrote: It isn't Stormtrooper Blaster cause Rey wouldn't have lightsaber up. They are dealing with Kylo and Finn and Poe wouldn't look so on guard with rey looking softer if it was just some storm trooper. C'mon. we know he's there. Even before seeing the red light, I thought they were meeting Kylo, due to Finn and Poe's expression. It's just me, or anybody else is loving the Middle Ages vibes coming from Kylo's fight in his teaser's scene? I love that instead of simply stabbing that guy with the long blade of his lightsaber he just smashes him into the ground with brutal force while simultaneously ramming the cross blade into his torso. Yeah, definitely more medieval "technique" than the elegant dance like fights we're used to see from the prequel Jedi. @Atenais I've been fan of Kylo's Jon Snowing forever. I adore his medieval style. it goes so well with Adam's physicality. 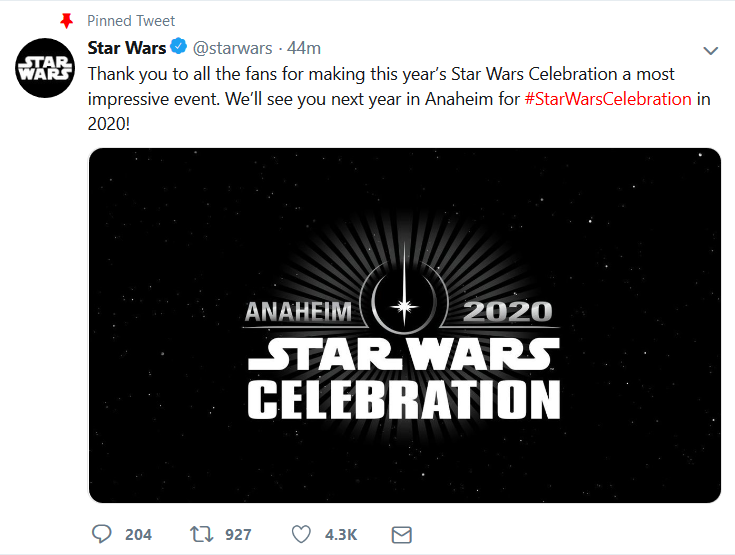 Celebration returns to Anaheim next year. Interesting, they usually do an international location in the off years. There's no movie coming out next year, but possibly D&D and Rian panels, certainly Mandalorian, Resistance, maybe the Cassian show. I wonder if the cast and directors of the ST come out for another panel now that they'll be able to actually talk about things openly, even the blu-ray will be out. @californiagirl wrote: Celebration returns to Anaheim next year. Interesting, they usually do an international location in the off years. There's no movie coming out next year, but possibly D&D and Rian panels, certainly Mandalorian, Resistance, maybe the Cassian show. USA again? Another Celebration that I won't go to, most probably. I don't know how this correlate to Kylo scenes but going by Jason's leak, this should be happening during the festival, which he described as calm before the storm. I know. I'm just trying to figure out the events and timelines of individual sets atm hence timeline of Jordan only in the previous post. Kevin Smith who visited a set says that a 'snowy marketplace' will be on this planet. Just for speculation when we'll get more stills. I agree with the first part. The fingers repairing the mask reminded me of this alien concept and I think it looks like it could have furry arms. But their second observation is wrong. The person next to BB-8 and the new droid is not a short being but looks human-sized, and unlike the concept alien they are also wearing pants or boots. Hi all, I have a question for those of us here who are great with music! if this is the case it would seem the death star shown here is death star II, which means the gang may be standing on Endor.. maybe? 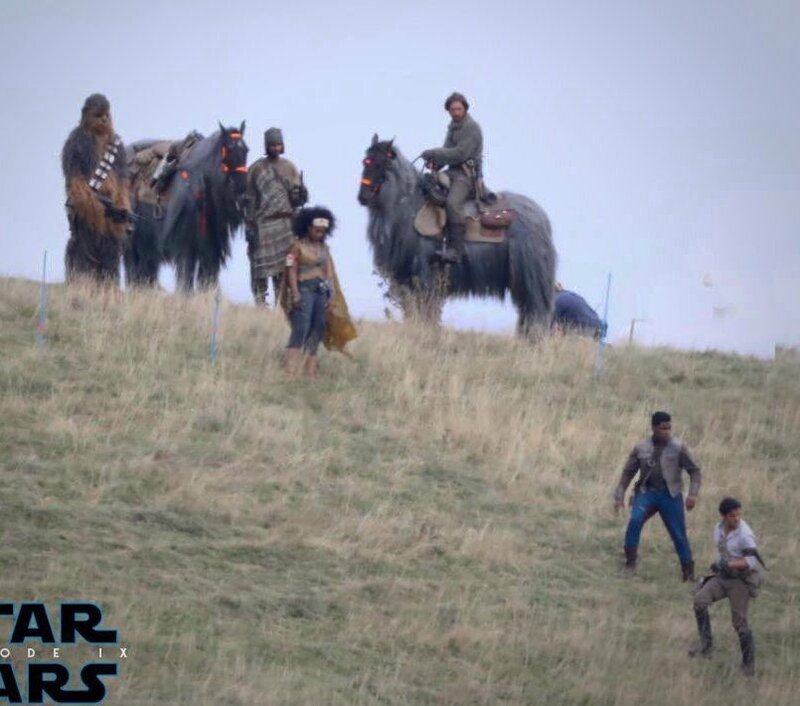 the starwars databank says Endor had grasslands and mountains - which matches the footage we've seen so far.. we can see mountains behind the gang. I was leaning toward it being Yavin 4 and first death star.. but this musical ewok nod, if correct, seems to rule that out. anyone cluey about music able to educate me? BTW as tidbits are starting to be revealed, we are going to draw different conclusions sometimes.. and that's okay. I am looking forward to just enjoying this process of having things be slowly revealed.. It's going to be a thrilling year! happy speculating..
edited to add: interesting if this is Endor - Poe's mother was in the squadron that brought down that Death Star! just from a storytelling POV I'm sure it's the second Death Star- that's where Palpatine died and it would make sense we would see them visiting it's remnants for maybe some sort of artifact (the rumored McMuffin?) or clues etc. as for the environment - of course it could be Endor...just because in RotJ we where in the forest doesn't mean they couldn't be different areas on one planet just like we have on Earth. 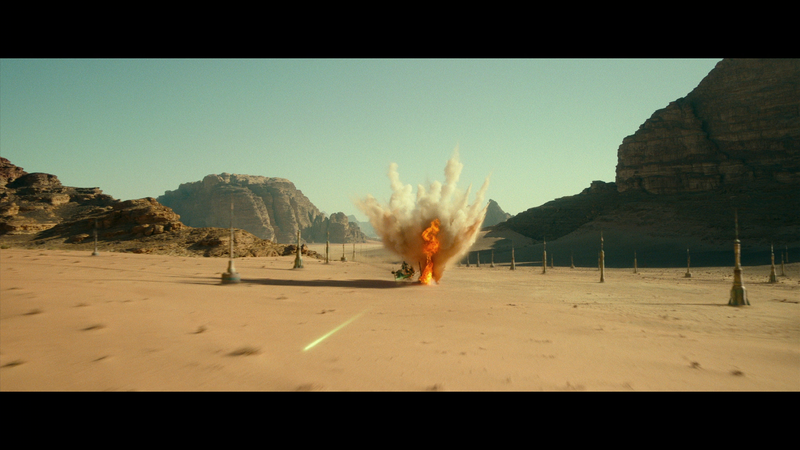 In Fact I found it always a bit silly that planets in Star Wars only seem to have one type climate & environment. @DeeBee wrote: Hi all, I have a question for those of us here who are great with music! That's not the Ewok theme, it's a variation of Leia's theme. It seems to me, people make up theories and then try to find connections that aren't really there to make it fit, and that they are looking for a deeper meaning in trailer music than there actually is. I saw someone suggest it was to coincide with the opening of the Galaxy's Edge park. And since Orlando was in 2017, they chose Anaheim which was in 2015. But it is frustating for other countries, let us have a Celebration too! @vaderito wrote: I know. I'm just trying to figure out the events and timelines of individual sets atm hence timeline of Jordan only in the previous post. 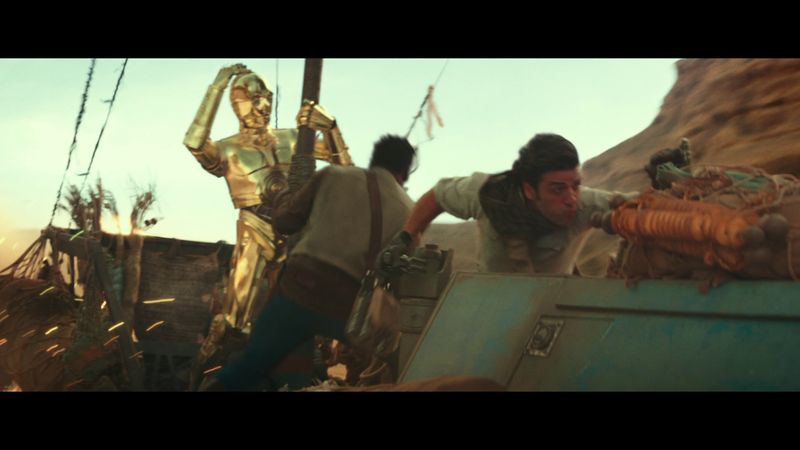 I think this photo is taken on the 'Endor' set since Poe has a bandage on his arm. 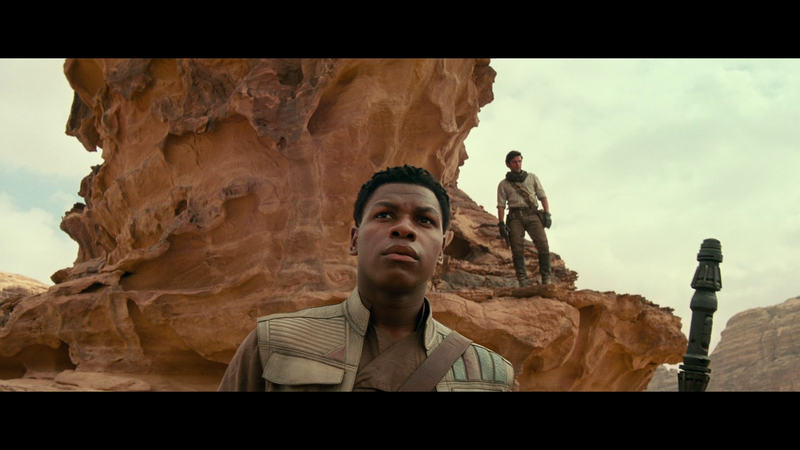 But does that mean Naomi Ackie's charcter is native from Endor? Ok so you could see it as resurrection but after my wild loopy two days with the fanboy theories am looking at this rationally now and have no doubt we are talking about Ben ascending . Ascension and rising are terms applied to kings too. In the behind the scenes book to last Jedi ( by Pablo hidalgo ) he talks about kylo’s ascension and wanting to ascend . Often kings were talked about like this and also about their star rising . Someone made a comment online too ( forget where I saw it now ) on Rise of Skywalker is an inversion of Rise Lord Vader - the Emperor’s presence is in both ie in Revenge of the Sith he says Rise Lord Vader and in this teaser trailer you hear his cackle laughter and then the title Rise of Skywalker. Coincidence? I think not . Hm I've found two leaks which haven't been verified and 1st was immediately deleted. I'm sorry but you won't f*cking believe it. The last leak was BEFORE MSW said the C3PO and his memories connected to the MacGuffin... MSW mention C3PO first in connection to MacGuffin in April! The hell of coincidence, right? Please tell me if I miss something. 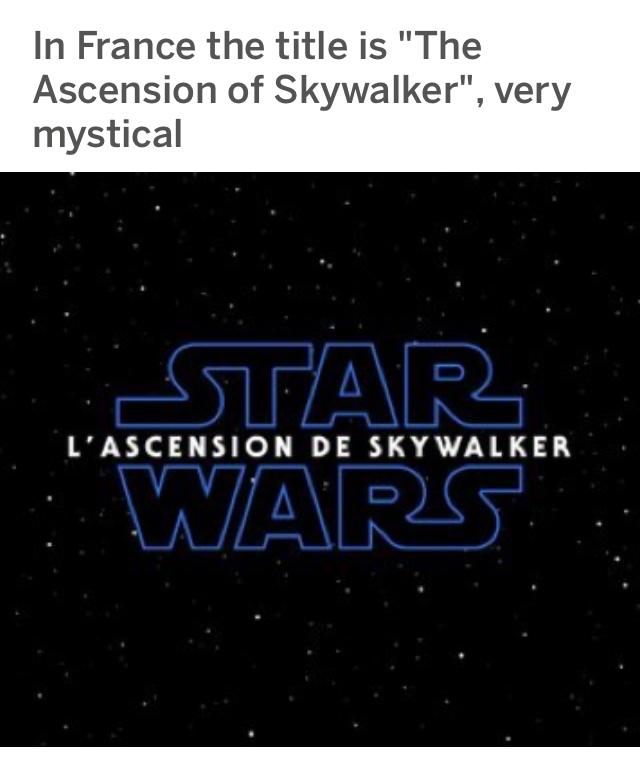 In Russian it's The Ascension of Skywalker too. I think an open ending, similar to the Netflix movies, after 4 years of waiting would drive me crazy ... I hope not ... from how it is written, if I understand correctly, Palpatine is the great grandfather of Ben Solo ... And what's the point of having to kill Luke? What would be the point :" if Skywalker lives, does hope live?" @giaciak2 I certainly don't believe it all. Last leak looks like trash. It sounds like trash. I really don't know what to think. It's hard to ignore that very important details look very correct. - It explains why they decided to reveal Palpatine in teaser and convention - To prepare us for information in the crawl. Dropping Palpatine in the crawl without some kind of reminder is very risky. - C3PO is hard to guess. It's not some abstract detail like planet. - Smith's silence is very telling. I guess we'll know for sure if there is a comment on Smith's role or some legit leaks. "Once more the Sith will rule the galaxy!" The war's end in 19 BBY saw the culmination of the Sith's millennium-long vendetta against the Jedi. Sidious declared himself Emperor and reformed the Republic into the Galactic Empire. To destroy the Jedi, Sidious issued Order 66, a command implanted in the clone troopers of the Grand Army of the Republic to kill the Jedi as traitors. In addition, Sidious seduced to the dark side Jedi Knight Anakin Skywalker, believed by the Jedi to be the Chosen One of prophecy who would destroy the Sith. The plans that started with Darth Bane had thus been fulfilled. However, the Sith victory proved short-lived, as Sidious met defeat during the Battle of Endor in 4 ABY. 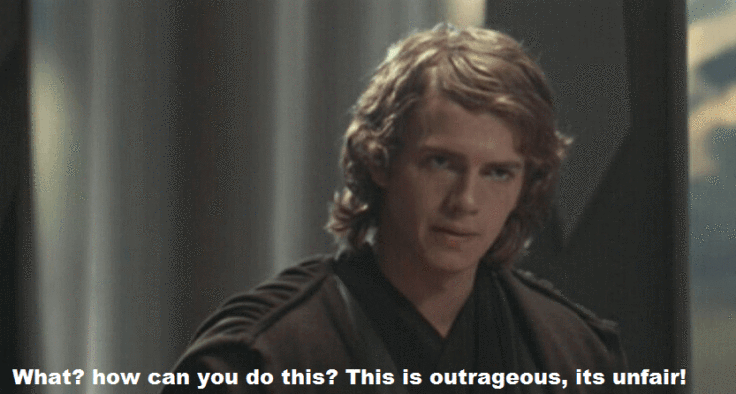 A redeemed Skywalker killed the Emperor, resulting in his own death, but also ending the rule of the Sith that Bane had set in motion over a thousand years earlier. About thirty years after the Battle of Endor, Kylo Ren, master of the Knights of Ren and grandson of Anakin Skywalker, betrayed and killed Supreme Leader Snoke, his dark side master. Ren then took control of the First Order in an act of ascension worthy of Darth Bane's Rule of Two. I was analyzing that word "rise" right in the dialogues of "Momin" in the Darth Vader comic. I was translating it and I was evaluating that word to translate it into Italian. Apparently it seems used to translate "the rise" of a kingdom. Like a new era. But don't forget that in the book Thrawn: Alliances by Timothy Zahn, the great admiral talks about the word "Skywalker" as space Force-pilots. Force-sensitive pilots who can cross the universe. 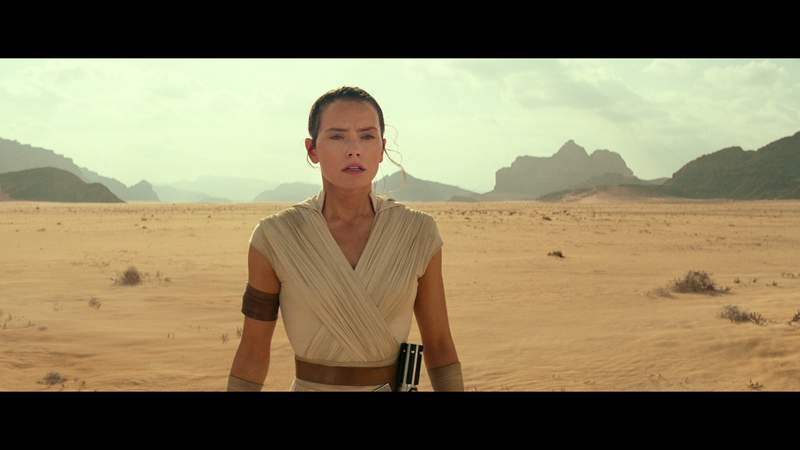 So, exaggerating with the fantasy, it could be translated as "The rise of space travelers" If so, then I hope that Rey has also been catapulted from some other dimension to help Ben Solo get rid of Palpatine and his evil curse. @special_cases wrote: Hm I've found two leaks which haven't been verified and 1st was immediately deleted. I'm sorry but you won't f*cking believe it. imagine Luke being back but recast and not as mark anymore and a villain! This is bizarre but I would love it! + it would irritate even more mark Hamil, Luke Fans, st fans. I honestly would have to applaud jj if he did this because that’s very bold. So FAF. It has a lot of red-flags. The majority of the bullets are vague and meaningless: "there's a JJ level twist (in the crawl??... is the crawl even written yet? ), "some" popular rumours are true (lol? ), Snoke is dead (k?). It's also all worded and formatted in a really classic (fake) leak style, but the biggest red flag is the double-edged insistence that Rebels and the Legends timeline are going to flow into IX, LOL. And through inter-dimensional travel of all things. Plus Luke is Darth Bane? Who tf is Darth Bane? Nobody cares. How the heck do you explain this to the GA? They know who Palpatine is because he has been the major villain throughout more than half the franchise.